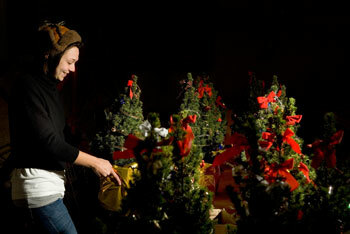 Kara Franco, a senior, decorates holiday trees at the Ratcliffe Hicks Arena, as a fund raiser for the Horticulture Club. PUBLICATION NOTICE: This is the last issue of the Advance for the 2006 fall semester. We resume weekly publishing on January 16.